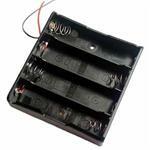 3-Cell holder - for 18650 Li-ION cells, Wired in Series. Spring-loaded, to hold cells in place. 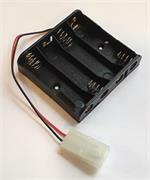 4-Cell holder - for 18650 Li-ION cells, Wired in Series. Spring-loaded, to hold cells in place.